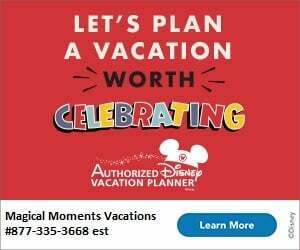 Do your kid love blowing bubbles? 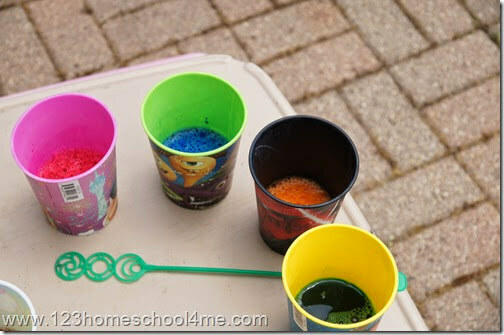 Here is a fun twist on that classic childhood summer activity by making Bubble Painting outside. This modern art project is a fun bubble art to hang on your walls. This is such a fun, playful way for kids to create a unique piece of artwork. This project is great for kids from Preschool, Kindergarten, to 1st, 2nd, 3rd, 4th, and 5th grade. 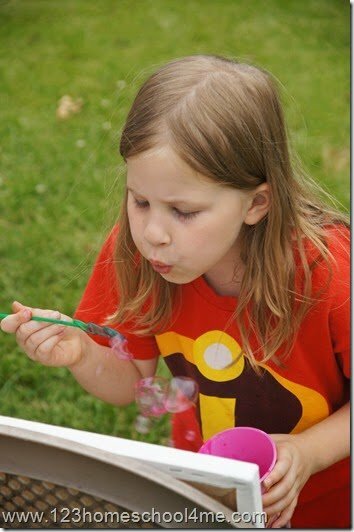 Kids just need to be able to blow bubbles on their own to do this summer activities for kids. You will want to add this bubble painting project for kids to your summer bucket list! 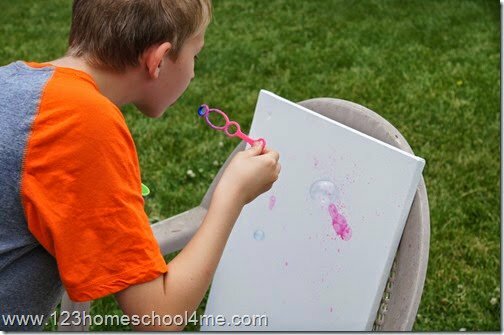 For your bubble artwork you will need bubble solution (store bought or our favorite homemade bubble solution), food coloring (like you use for food), a bubble wand, and a piece of paper or canvas. You will want to blow your bubbles outdoors as the colored bubble liquid may stain surfaces if not cleaned up promptly. 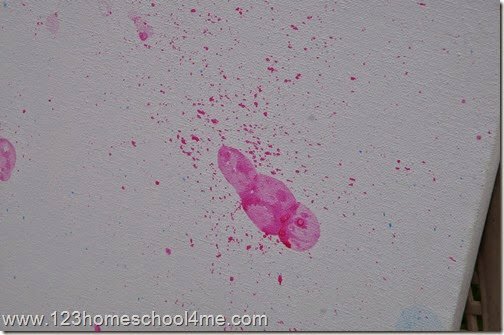 When the bubble pops on your paper or canvas it makes a lovely splatter effect. Here is one of our finished masterpieces. 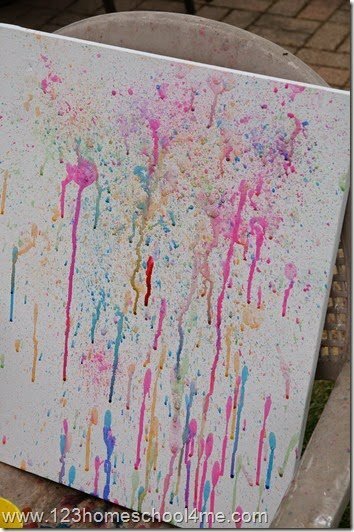 I love how the colors mixed on the canvas and made a mix of drips, splatters, and small flicks of color. My kids loved making their bubble painitng and it made such a fun keepsake for our walls too.